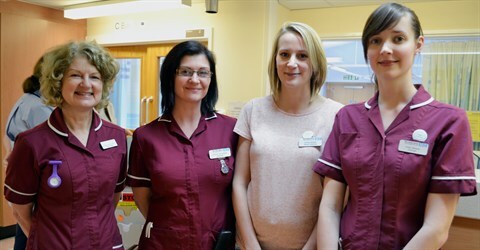 As part of the Worcestershire Acute Hospitals NHS Trust, our team of 20 Dietitians and 6 Admin staff cover Worcestershire Royal Hospital, Alexandra Hospital and Kidderminster Treatment Centre; we provide both inpatient and outpatient services. Our specially trained Dietitians provide services between core hours of 08.30-16.30 across Worcestershire Royal Hospital and Alexandra Hospital. Registered Dietitians (RDs) are the only qualified health professionals that assess, diagnose and treat dietary and nutritional problems at an individual and wider public health level. Uniquely, dietitians use the most up-to-date public health and scientific research on food, health and disease which they translate into practical guidance to enable people to make appropriate lifestyle and food choices. An appointment will be sent to you along with a 5 day food diary. This will need to be completed before your appointment. This will ensure the Dietitian can give you appropriate, personalised and achievable recommendations. During your consultation, your Dietitian will assess your nutritional requirements and together you will jointly agree your nutritional care plan taking into account individual food habits, cultural customs, social and financial situation. Dietitians also guide people to make appropriate food choices to encourage a healthy lifestyle. Throughout your consultation you will have the opportunity to ask the Dietitian any questions you may have and in most instances you will be provided with written information with our contact details. For more information about dietitians, and the difference between other nutritional professionals visit the British Dietetic Association page. Further information about Malnutrition and Nutritional Care in the UK the BAPEN Website provides useful information.